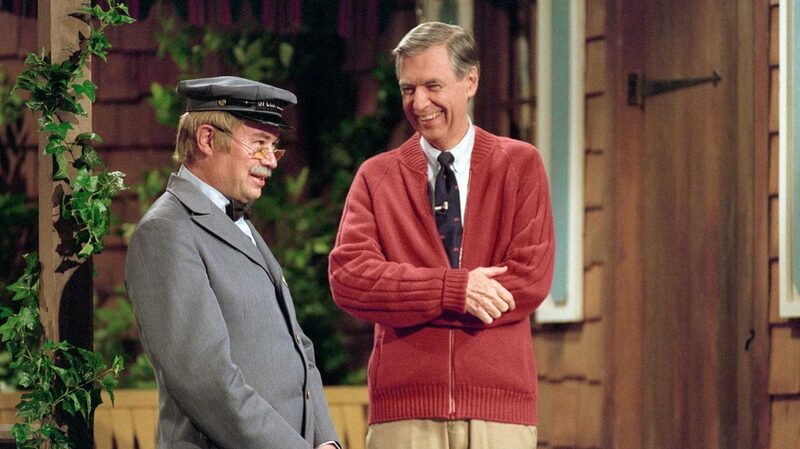 If you did not believe that the late children's television host Fred McFeely Rogers was the most wholeheartedly good and decent human being to live and work in the 20th Century prior to watching Won't You Be My Neighbor?, I'm pretty sure you'd believe it afterwards. The film isn't exactly a documentary of Rogers's life and career, so much as a 94-minute depiction of his worldview and the intense sincerity with which he lived what he preached: unconditional kindness and love, a firm belief that every living human deserves respect as who they are right now. Despite an almost comical inability to come up with anything to say against the man that last for more than a second or two, it's no hagiography: it really does seem like this was just the objective truth. When one of Rogers's sons describes the peculiar feeling that he was born to the second coming of Jesus Christ, one does not feel compelled to view this as hyperbole, but simply to shrug and say "yeah". Let me get one thing read into the record: getting to spend any quantity of time hearing Mister Rogers remind us that it is good to be good and nice to be nice, and that the world is a good place when and only when we all agree to love each other because of our differences rather than let those differences split us, that is a good way to spend time. In the United States of America in 2018, is an especially good way to spend time. So when I say all of the mildly disparaging things about Won't You Be My Neighbor? that I'm about to say, understand that I'm not saying "don't go see the movie". I'm simply saying that the movie as a movie is kind of... nothing-ish? Basically, it's a Morgan Neville film, is the thing, in pretty much all the ways. Neville's career has included a really substantial number of projects, mostly for television, but his brand as a documentary-maker is mostly based on two other features prior to this: the 2013 Oscar-winning 20 Feet from Stardom (his best film, mostly by default) and the 2015 Best of Enemies (which he co-directed with Robert Gordon). The approaches and topics are all different, but the vibe is almost identical in all three cases: these are delivery systems for very impressive people providing something hugely enjoyable - terrific backup singing in 20 Feet, lacerating politicised insults in Best of Enemies, guileless human warmth and empathy in Won't You Be My Neighbor? - relying not whatsoever on the film itself to shape or interpret the content. That's not going to be a dealbreaker for a lot of people, of course, but through all of the 94 minutes of the Rogers documentary, I found myself yearning for it to at least have a shape. This is, broadly speaking, a chronological study, but it skips back and forth a bit to chase ideas down, without every then becoming a topically-arranged film. It just has many different bits and pieces all laid out in no particular order, with no particular context (the film's disinterest in fine details is so extreme that it doesn't even clarify Rogers's age or year of birth). If I may steal a line from my 20 Feet review, "the effect is something like skimming a Wikipedia page rather than engaging with an in-depth history: you learn a little about a lot of things, and a lot about nothing". We learn a couple things about how Rogers got interested in TV as a way of providing positive moral instruction for children; we see a few isolated chunks of the behind-the-scenes workings of Mister Rogers' Neighborhood, the program where Rogers peddled his very patient, slow-moving, loving brand of wisdom and exploration to American children from 1968 to 2001; we learn of his lifelong doubt that he ever actually accomplished anything or lived up to his own exalted moral standards. Any and all of this could be deepened, giving us a much fuller, richer vision of Rogers: the backstage stories humanise him, the hints about his self-doubt give his story a beautiful tragedy, the anecdote about how he treated a gay co-star adds some brief shadows to him before demonstrating his capacity to grow and embrace people unlike himself. There are so many ways Won't You Be My Neighbor? could give us a deeper portrait of Rogers without ever even slightly deviating from the course of presenting him as a totally unblemished moral exemplar. But we get none of them. Instead, the film stays locked with laser focus on repeating, from basically everybody still alive who knew or worked with him, that he was definitely very nice, none of that was an act, and he believed in treating everybody but especially children with absolute, unyielding dignity. It's a frankly repetitive experience, made tolerable pretty much exclusively because it's built around Mister Rogers, a man whose still presence and soft, flute-like voice made him one of the most soothing and calming human beings in the history of audio-visual media. I'm sure it's, in principle, possible to watch the film and not end up collapsing into a warm puddle of good feelings spiked with the melancholic awareness that Rogers is dead and the world is getting worse; one could undoubtedly make it through all 94 minutes without crying or even desiring to. But where's the fun in that? When Rogers speaks, in stock footage from his show, or interviews, or public appearances (including the congressional hearing where his radiant goodness more or less single-handedly cleared the way for public funding of educational television), his steady, even tone of voice and peculiar way of looking (he always appears to have drooping sleepy eyes, and yet he fixes his gaze with the intense focus of a hawk) give him almost unimaginable authority. We are told, and occasionally reminded, that Rogers was a devout Christian and ordained Presbyterian minister; the film is interested in this primarily as the source of Rogers's unhesitating love for all, though it seems likely enough that his uncanny combination of a soft, welcoming voice through a gentle smile, plus a stern, authoritative ability to hold and command attention, is at least in part a holdover from that part of his life as well. The point being, as a vessel for Fred Rogers to continue to do his work 15 years after he did, Won't You Be My Neighbor? is a good and pure thing. As a work of documentary filmmaking, it's shallow and incurious, misshapen and redundant, blessed only in its faultless choice of a subject. I concede that the population of people who care about any of that is not large, but I'm also not going to pretend that I wasn't constantly wishing for more rhetorical focus, argumentation, halfway decent scene transitions, anything.